The following Fact File contains fast information about the life of Hernando Cortes. Interesting facts and an overview and description of the life and times and his involvement in the Exploration and the discovery of the New World leading to the colonization of America. Hernando Cortes Fact 1 Why was Hernando Cortes famous and what part of America did he explore?Hernando Cortes began the first phase of the Spanish colonization of the Americas and conquered the Aztec empire. Hernando Cortes Fact 9 The expedition to Cuba consisted of four ships with 300 men. Hernando Cortes Fact 13 On February 19, 1519 Hernando sets sail for Mexico with a force of six hundred men, and less than twenty horses. This article contains a short biography in a fact file format in date order. Fast facts and information about the life of Hernando Cortes. Who was Hernando Cortes and why was he famous? When did he explore the New World of America? 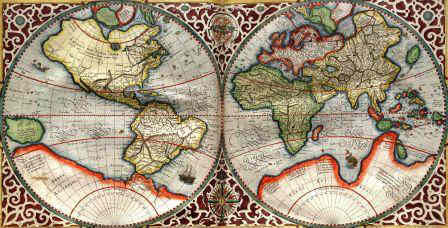 Which area of America did Hernando Cortes explore? Read the fact file that provides fast access to interesting facts for kids about the life of this famous explorer and his place in the history of America. For more info refer to the Spanish in America. Hernando Cortes Fact 21 He reaches the Aztec capital of Tenochtitlan and the Aztecs believe that Cortes could be Quetzalcoatl their light skinned, bearded God-King. Hernando Cortes Fact 23 Montezuma II allows Cortes and his small force to enter Tenochtitlan, the Aztec capital, which houses thousands of Aztec Indians. Hernando Cortes Fact 25 During this time period Diego Velasquez had sent 1,400 soldiers to arrest Cortes. 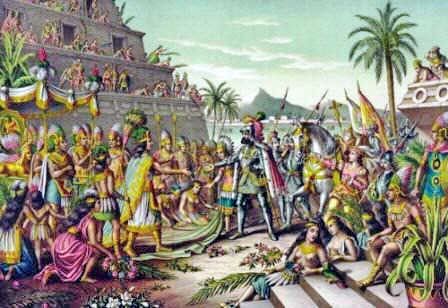 Hernando Cortes Fact 29 In 1521 he returns to Tenochtitlan with reinforcements. Hernando Cortes Fact 30 1521 August 13, 1521: A terrible Plague strikes the Aztec population and Tenochtitlan falls to Cortes. Hernando Cortes Fact 34 His reputation is smeared by rumors that he murdered his wife, and the Spanish who were wary of the power he held in Mexico refused him permission to return to the New World. 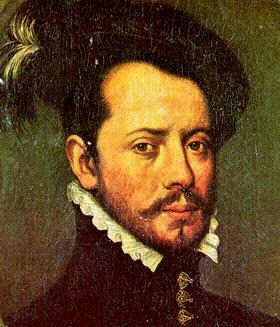 Hernando Cortes Fact 36 Hernando Cortes died on December 2, 1547 near Seville. A wealthy but embittered man.